We’re excited to announce SS+K was named a Webby’s People’s Voice winner in best copywriting for our Obama for America For All campaign. Kudos to the SS+K teams that helped make the campaign a reality, from the creative thinkers who first hatched the idea and the producers who brought it to life to the account teams that managed the process. We also owe a tremendous thank you to our external teams – including the folks at Chelsea Pictures – whose efforts helped inspire voters and move people. 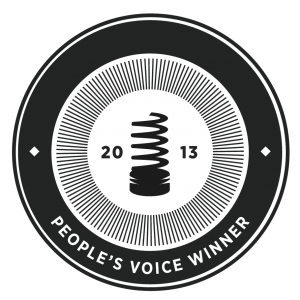 We also must thank the Webby voters who clicked endlessly for the win. Congratulations to all of the Webby winners; we can’t wait to deliver our 5-word acceptance speech in May.